Austin-based employment and litigation law firm Boulette Golden & Marin L.L.P. is focused on employment and business litigation, and counseling in addition to compliance, and corporate immigration services for employers in Texas in a broad range of industries. To be Sure, Boulette Golden Marin L.L.P. are happy to add this distinction to their growing list of accolades. 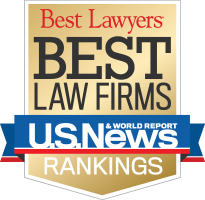 The “Best Law Firms” rankings are based on a rigorous evaluation process that includes the collection of client and lawyer evaluations, peer review from leading attorneys in their field. A review of additional information provided by law firms is also part of the formal submission process.